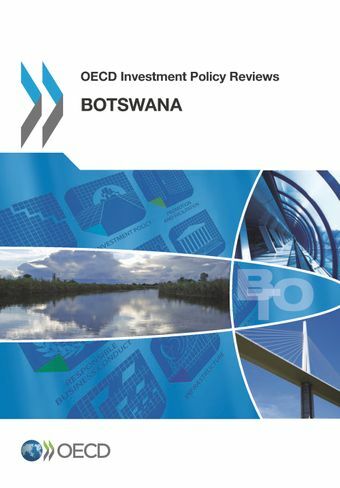 OECD's comprehensive review of investment policy in Botswana. After an overview of the country, the review examines investment policy, investment promotion and facilitation as well as infrastructure in Botswana. Starting in ‌‌2012, the government of Botswana, in partnership with the OECD and NEPAD, undertook a review of its investment policies to improve the business climate and attract more diversified investment. Diversification is becoming indispensable to safeguard the country's growth, development and fiscal sustainability. The resulting Investment Policy Review illustrates Botswana's progress in improving its investment climate over recent years. It highlights major initiatives and policy measures undertaken, as well as areas that need further reforms to attract more and better investment, both domestic and foreign. The review also identifies several remaining challenges for the country and makes recommendations on policy options which can respond to these challenges. The review is based on the OECD Policy Framework for Investment and undertaken within the framework of the NEPAD-OECD Africa Investment Initiative with support from the Government of Finland.